W. W. Norton & Company, 9780393059656, 672pp. Soul Machine takes us back to the origins of modernity, a time when a crisis in religious authority and the scientific revolution led to searching questions about the nature of human inner life. This is the story of how a new concept--the mind--emerged as a potential solution, one that was part soul and part machine, but fully neither. 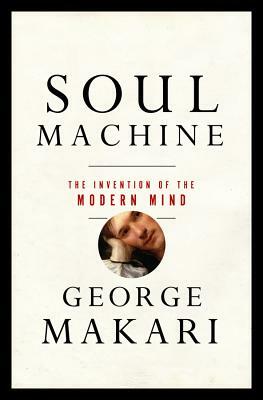 In this groundbreaking work, award-winning historian George Makari shows how writers, philosophers, physicians, and anatomists worked to construct notions of the mind as not an ethereal thing, but a natural one. From the ascent of Oliver Cromwell to the fall of Napoleon, seminal thinkers like Hobbes, Locke, Diderot, and Kant worked alongside often-forgotten brain specialists, physiologists, and alienists in the hopes of mapping the inner world. Conducted in a cauldron of political turmoil, these frequently shocking, always embattled efforts would give rise to psychiatry, mind sciences such as phrenology, and radically new visions of the self. Further, they would be crucial to the establishment of secular ethics and political liberalism. Boldly original, wide-ranging, and brilliantly synthetic, Soul Machine gives us a masterful, new account of the making of the modern Western mind.